TRACE32 automatically provides full system visibility, after the appropriate setups are done. 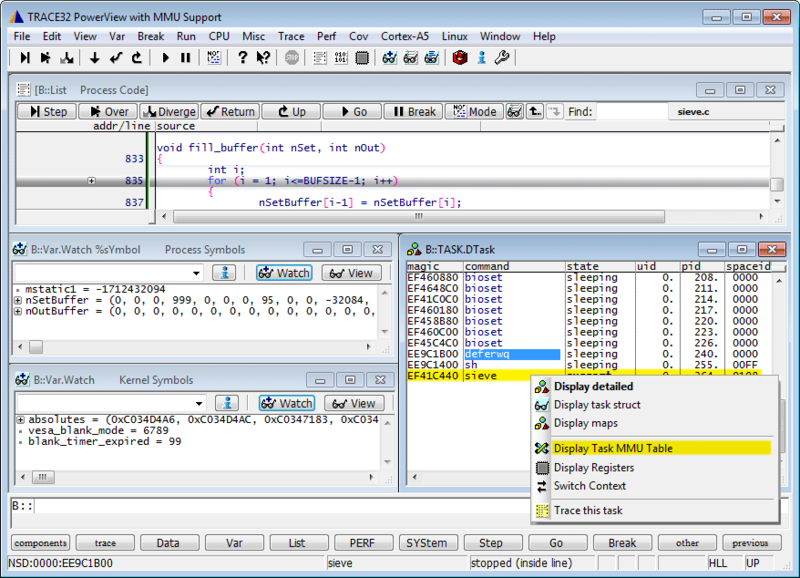 TRACE32 users can stay focused on the debugging of their code. Developers who are familiar with the deep details of the MMUs, TLBs, pages tables, address translation can inspect all entities in detail by using advanced TRACE32 commands.